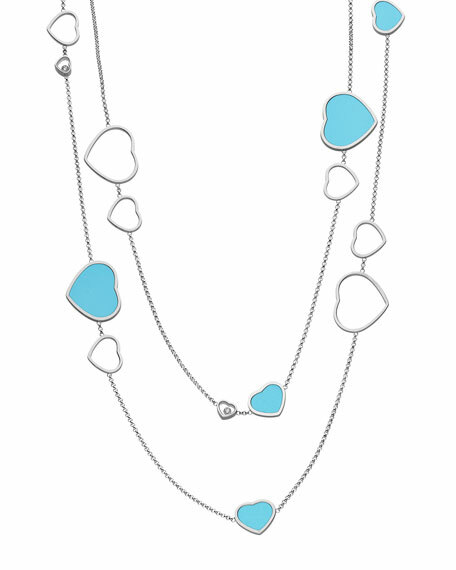 Chopard long "Happy Hearts" sautoir necklace from the Happy Diamonds Collection. 18-karat white gold rolo chain with mixed heart stations. Stone turquoise inlay trims assorted stations. Three brilliant-cut floating diamond bezel stations.